Freakin’ Unbelievable Burgers is a fast-casual burger concept with locations currently in Michigan. They serve certified Angus beef burgers on brioche buns. You can even build your own freakin’ burger! 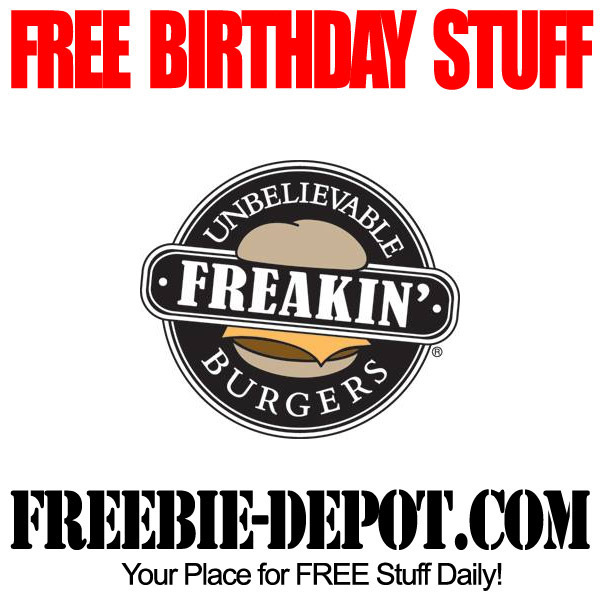 Join the Freakin’ EClub and you will receive an email during the month of your birthday with a coupon for a FREE burger! You will also receive a welcome email with a coupon for a FREE side!